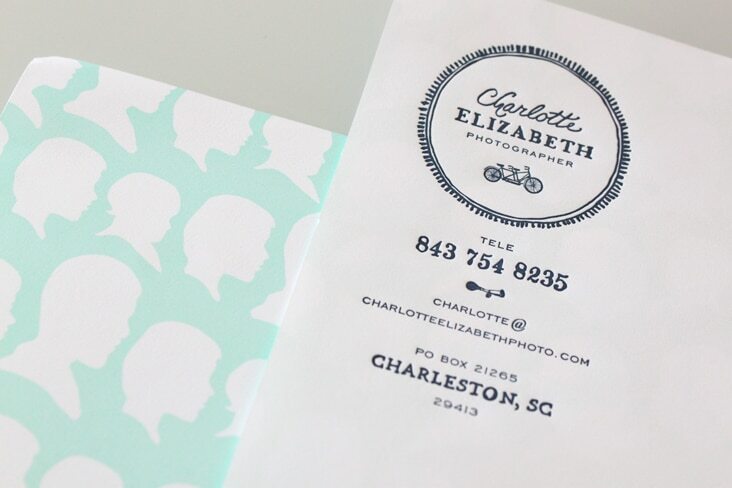 Charlotte Elizabeth Photographer « Stitch Design Co.
Charlotte of Charlotte Elizabeth Photographer is new photographer on the Charleston scene. She came to Stitch to design her logo and give her a brand that reflected her energetic and out going personality. 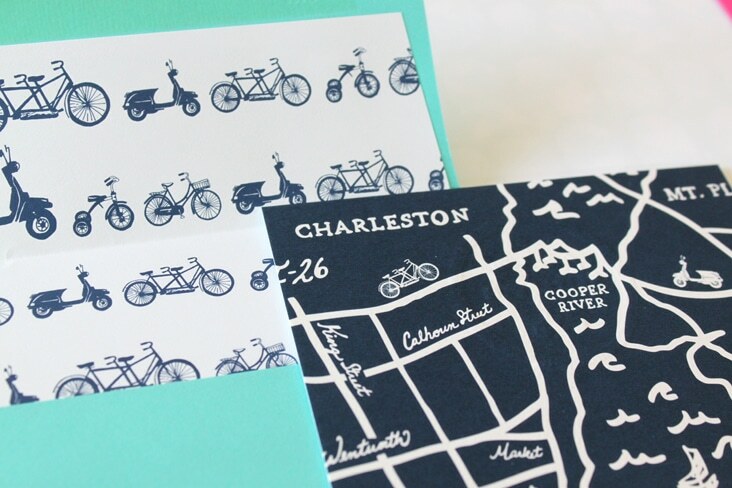 To capture Charlotte’s whimsy, we hand-drew her logo and established a set of icons to represent the different types of people she photographs – each illustrated through different types of transportation. Weddings (a tandem bike) Kids (a tricycle) Teens (a vespa) and so on. With Charlotte being a lover of downtown and its ease of getting to and from on a bike – it was a perfect fit. 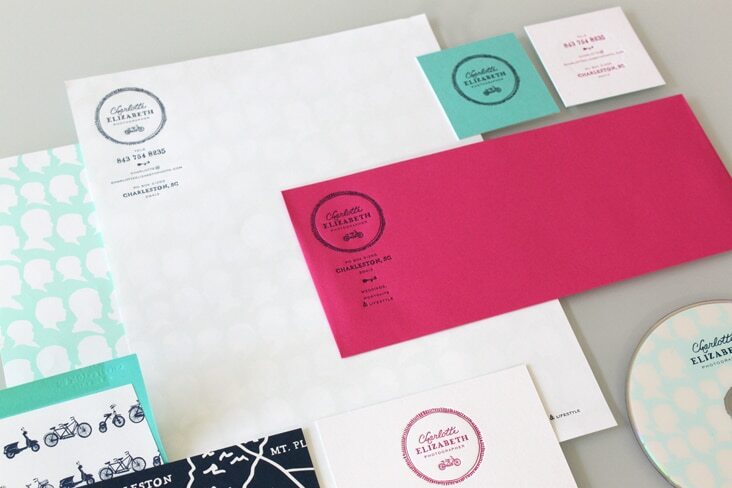 We combined letterpress and offset printing to produce her stationery set and made sure to include punches of color and illustration, all reflective of Charlotte’s love for life and photography. 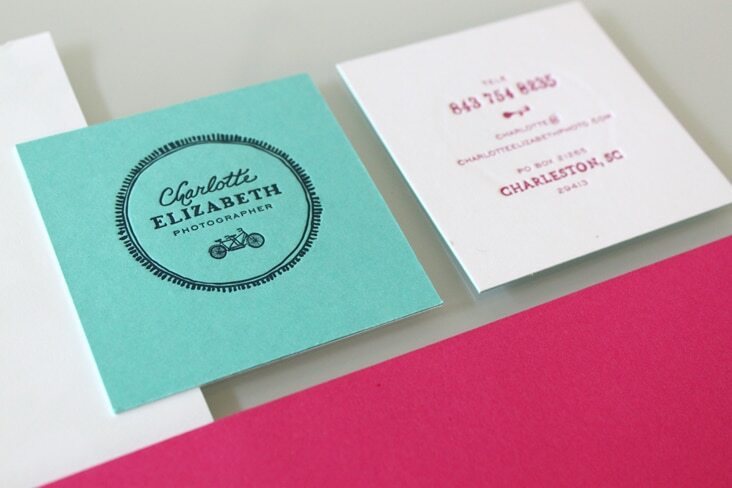 5 Comments > Tags: Charlotte Elizabeth Photography, Logo & Identity Design, Sideshow Press, Stitch Design Co.
may i ask what the name of the font used for the word, “photographer” in the logo is? Hi Benton. I believe it was Engravers Gothic.